Rupert Pupkin Speaks: Favorite Underrated Horror - Jamie Summerville ""
My Name is Jamie, I am 23 and from England, just a student who enjoys films, in particular horror, From as far back as I remembered I have always enjoyed them, more than people around me, so when i saw Rupert's blog, I was inspired to make my own Underrated Horror List, am a big believer of the the adage what you don't see is scarier that what you do see, and that is partly the theme of my list below, You can follow Me on Twitter at @jamiefriend12 where i often tweet about the films i watch and about my favourite horror actors, in particular Peter Cushing, I made the several trips to Whitstable this year in his honour. Hope you enjoy my list. 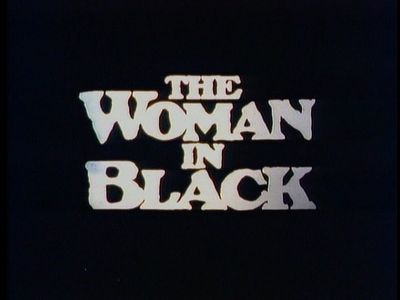 From as far back as I remembered I have always enjoyed horror films, more than people around me. I enjoy learning about all the actor’s & finding out about the history of the films. After reading Rupert’s blog and enjoying seeing the different Underrated Horror list’s, I was inspired to make one of my own, I hope you like my choices. 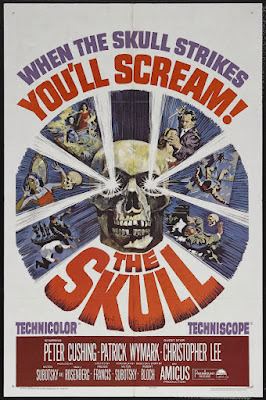 This Skull was produced, by British studio Amicus, the company most famous for their anthology’s films. 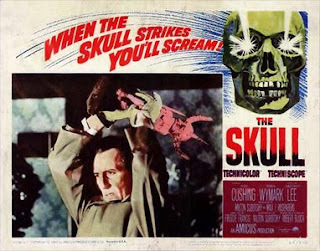 It stars Peter Cushing, & Patrick Wymark & Christopher Lee. The Plot centers on Dr. Christopher Maitland (Cushing), purchasing theskull of Marquis De Sade, and his descent into madness. Directed by famed cinematographer Freddie Francis, the film excels in creating atmosphere, with impressively directed scenes, such as the nightmare sequence, & some very unique POV shots. 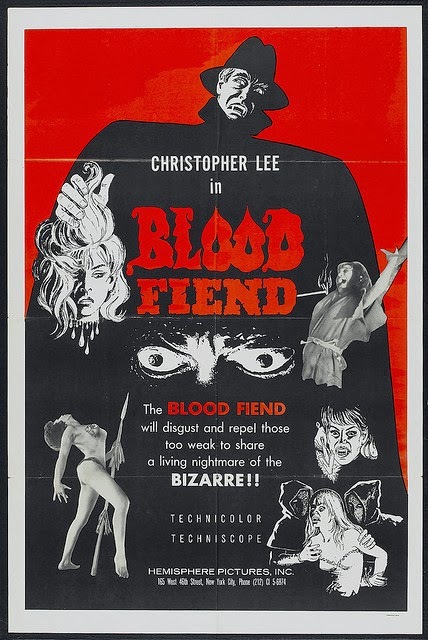 The film features solid performances from the whole cast, but make no mistake this movie is owned by Peter Cushing, giving one of his finest performances. With the final 25mins of film containing little to no dialog (in Part to the Screenwriter Milton Subotsky, unease at writing long portions of dialog), Cushing manages to express, the plight of his character with just his face& gestures. 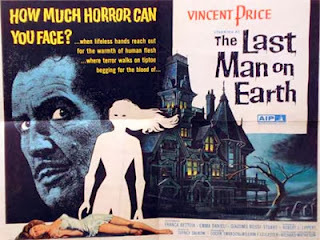 Contrary to popular belief this was the first adaptation of the Richard Matheson novel “I Am Legend”, staring horror legend Vincent Price. This is another film, where the actor has to express his feeling and emotions though gestures, and his face, as he is alone, for a lot of the movie, & Price does it perfectly. When you watch this film, you might think some scenes look familiar, that’s because they bare a striking similarity to George Romeo’s 1967 film “Night Of The Living Dead”, just check out the part of film where the vampires/zombies are waiting for Robert Morgan (Price), outside his house, and you will see what I mean. 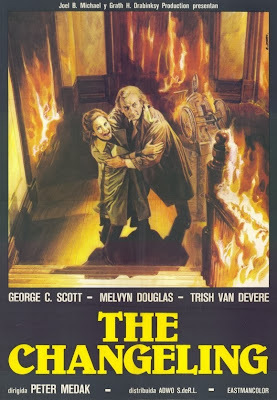 This rare British film, staring Julian Glover, Christopher Lee, set in Paris (though filmed in England) is about the Theatre Of Death, which specializes in horror plays, Lee plays the obsessive director Philippe Darvis, who lets say does not treat his performers in nicest way, See the scene where he tells one of them to comment suicide. Lee plays the part perfectly, and even when he is off screen his presence is felt, by a rather eerie painting of his character, present though out the film. While more like a mystery, than a pure horror film, there are still plenty of quite eerie moments through out the film. Haunted House films, where always one of my favorite sub genres of horror films. Having seen the most famous ones, I came across this film, a lesser known Canadian production staring George C Scott. It’s about John Russell (Scott) who loses his family in a car accident, and moves away and rents a large house, which is haunted by the ghost of child, who try’s to communicate with Russell. The Cast also in includes Scotts Wife Trish Van Devere and Hollywood actor Melvyn Douglass in one of his last roles. The film has very few special effects, with some the most simple of sequences, giving the biggest scares, just who would think a ball bouncing down the stairs could be so frightening, watch this film and you will find out. Based On The Susan Hill Novel of the same name, this adaptation of The Woman In Black was produced for Television in UK in 1989. More recently it was re made a feature film in 2012, while that is fine film, this version I find more haunting.Nigel Kneale, most famous for the BBC series The Quatermass Experiment, writes the screenplay. There are no CGI ghost’s here the woman in black is played by a real person (Pauline Moran), with very little makeup, but boy is she terrifying. Acting is topnotch from the somewhat unknown cast. The locations are stunning, and the film has an ending that will stick with you, which I find more disturbing than the 2012 film ending.